Signs of Spring are starting to show up! Trees are budding, flowers are blooming, and here in San Diego we have been graced with extra butterflies! How about you? It’s time to brush off winter and start embracing the coming season of spring. A time of renewal, resurrection and new beginnings. There are many ways to jump start your spring in an energetic way. Have you been wondering about the way your energetic body influences your entire health? We tend to put a lot of emphasis on our physical bodies, by exercising and eating a nutritious diet. That’s Great! Consider that paying attention to our energetic body will also inform and create optimum health physically, mentally, and spiritually. When we pay attention to our self energetically we can clear heavy energetic clutter that weighs us down leaving a healthier lighter energetic body. When we place our attention on the energetics of life we have an opportunity to release old stories, limiting beliefs, stress, anxiety, and trauma. We become self-referencing. We gain access to our own personal wisdom. We give ourselves the opportunity to age differently. Receiving clarity for our destiny. Here are 5 quick and easy ways to bring health and well-being to you mind, body and spirit. Know your Energetic Landscape: Take the time to find what the anatomy of your energetic field is. Study the chakras and auric field. If you need assistance on this, please contact me. Here are a few practices for each chakra. 1st chakra: Go outside. Connect with Nature. Use your senses. Touch a tree, look deeply into a blossoming flower, smell the air around you. 2nd chakra: Write, draw, paint, or do any other creative outlet you enjoy. No judgement. Let your ideas flow. 3rd chakra: Close your eyes, visualize one thing you would like to experience. See it, declare it our loud! 4th chakra: Place your hands on your heart. Breathe deeply with your attention on your heart. Our hearts know what is best for us. 5th chakra: Give yourself permission to share your feelings. Practice trusting your voice. Smile more. 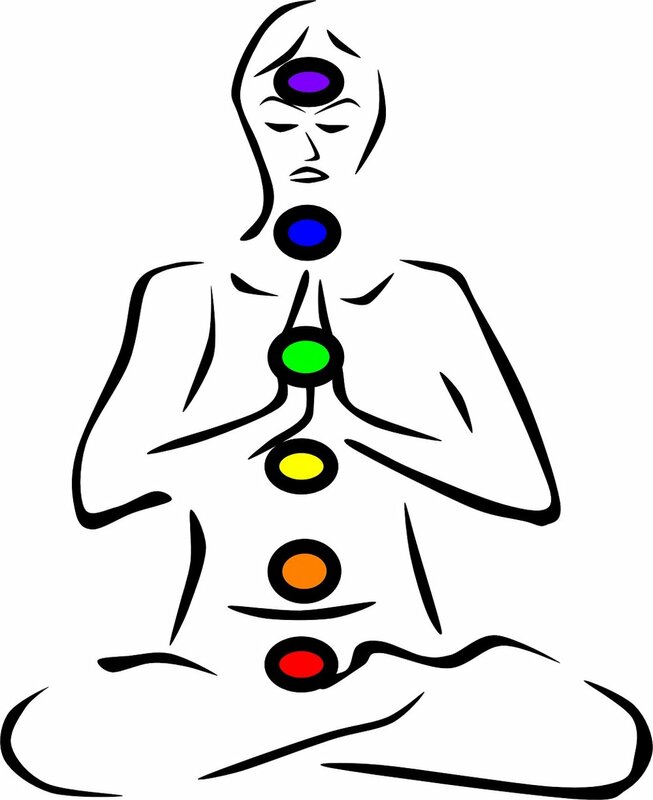 6th chakra: Notice the physical response when making a decision. Does your body have a feeling of ease or constriction? Contemplate the physical message you receive. 8th chakra: Embrace and contemplate that you are a timeless being. Clear the Clutter: What old stories do you tell yourself causing you to take little or no action in realizing your dreams? Write down what they are and safely burn them. Fire is energetically transformative. Use a crystal, especially Selenite or Black Tourmaline to release heavy energies that have accumulated. Sit quietly with the crystal allowing the energy of the stone to work with you. Meditation: I know, you have heard this a thousand times, but it REALLY works, and it is so easy. Get comfortable, close your eyes. Let your body relax taking long slow and easy deep breaths. Let your thoughts come and go. Success! You are a meditator! Let me know if you need further guidance on expanding your meditation practice. Develop a Mindful Breathing Practice: Your breath is your Life Force. It is everything. Just by slowing your breath to a 4-count breath, 4 in, hold 4, 4 out, hold 4, and then around again can make all the difference. If the 4 count is comfortable, please increase the timing a little at a time to what’s comfortable for you. When you are mindful of your breath you can influence your nervous system, assisting it to function at its best and highest. See your Energetic Practitioner: Sometimes there are stubborn or deep seated energies that could use the assistance of a professional. These could occur due to trauma, grief, or past life experiences. These are just a few suggestions that will help you begin to optimize your energetic health for Spring! If you are interested in additional info, please visit my website at www.pattybellando.com.